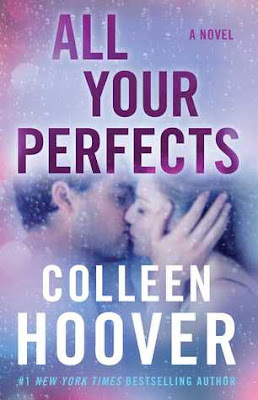 I hadn’t originally planned to read All Your Perfects by Colleen Hoover just yet, but I happened to run across the audiobook while browsing my local library’s Overdrive selection, and my curiosity got the better of me. I’ve read a few of Colleens books in the past which I really enjoyed, and something told me that I had to check this book out right away. I’m really glad I did! All Your Perfects is the story about Quinn and Graham, a young married couple who are dealing with some trials in their relationship. The story is told from present day point of view, which includes all the problems they are facing as their marriage slowly falls apart, as well as through the past when they meet and fall in love. Both parts were equally interesting, though the parts in the present day were the hardest to read. I definitely sympathized with them both for all they were going through, and found so many parts relatable as well. I especially understood Quinn’s pain. This book was a really quick read, and I found myself flying through the story a lot faster than I anticipated. As I mentioned above, I listened to this book in audio format, and I’m really glad I did. The narrator, Madeleine Maby, did a great job of reading the story, and I instantly recognized her voice from an audiobook that I listened not too long ago, The Room on Rue Amélie. I’m also pretty thrilled to discover that she narrates in a few audiobooks that I plan to listen to soon, and I can’t wait to check those out. 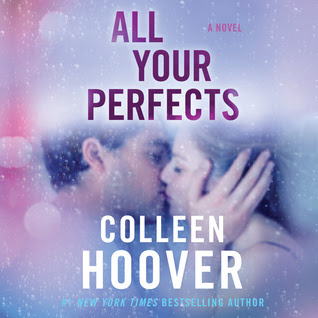 Overall; All Your Perfects by Colleen Hoover was a quick, interesting read that I really enjoyed. It definitely makes me want to read that I own of Colleens that I haven’t yet read, and I plan to work more of those into my TBR as soon as possible, starting with It Ends with Us, and hopefully Ugly Love as well! 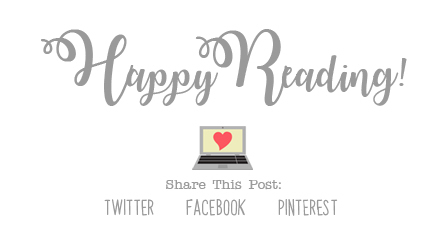 If you love a good realistic contemporary novel, do check out All Your Perfects!